PS4 MP4 - How to Play MP4 on PlayStation 4? How do I stream MP4 files to PS4? PS4 can sometimes be a bit rigid in playing the MP4 file formats. The following content just aims to explain why PS4 doesn't play MP4 movies as well as provide an easy way to stream all MP4 movies to PS4 for playback. 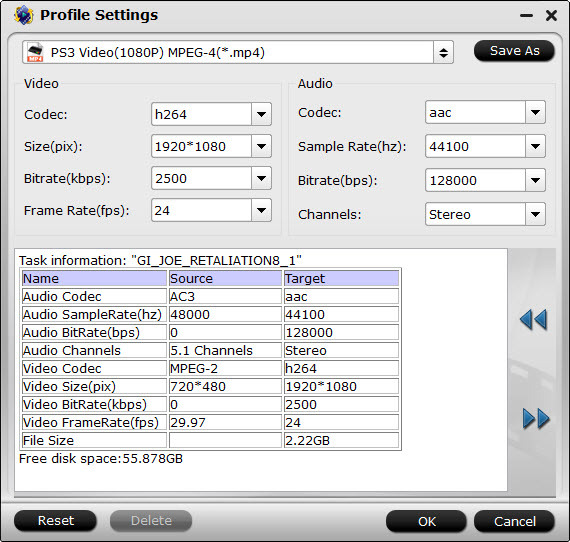 Video in MPEG-4 SP (Simple Profile) and audio in AAC LC (Low Complexity) format. Video in H.264/AVC HP (High Profile) and audio in AAC LC (Low Complexity) format. MPEG-2 TS format with video in H.264/AVC and audio in AAC LC (Low Complexity) format. If you happen to have some MP4 videos encoding with H.263 or H.265, you are unable to stream such MP4 files to PS4 for playback. Though the problem how to stream unsupported MP4 to PS4 without any complexity does haunt you a lot. Don't be down! This doesn't mean there is no solution for you: In order to successfully play all MP4 movie on PS4, a widely used solution is to change MP4 to format that PS4 can easily support. There are many video tools on the market for users to transcode videos. Here we recommend a best tool--iFastime Video Converter Ultimate to all of you which ensures you a sheer worry-free yet superfast MP4 to PS4 conversion with zero quality loss. It is directly offers you with all the facilities in transcoding all kinds of PS4 unrecognized MP4 files to PS4 more compatible MP4, AVI, MPEG-2 and etc pretty easily. 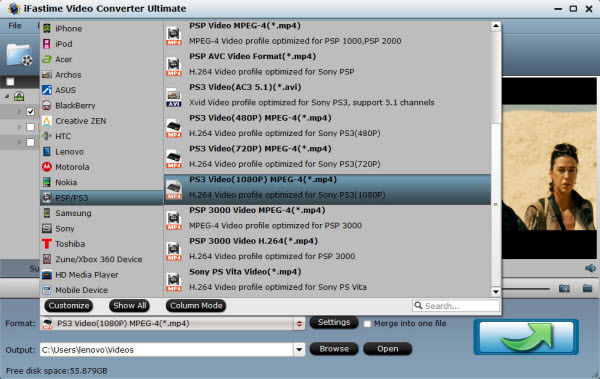 In addition to reformating MP4, this powerful PS4 Video Converter also can transcode other video formats like XAVC, WMV, MKV, AVI, VOB, MPG, Tivo, WTV, FLV, MXF, MOV, etc. to PS4 supported video formats. It even helps to change PS4 unsupported audio like FLAC, OGG to PS4 supported MP3, WAV or WMA. The process is much simple. Follow below guide to start MP4 to PS4 conversion. 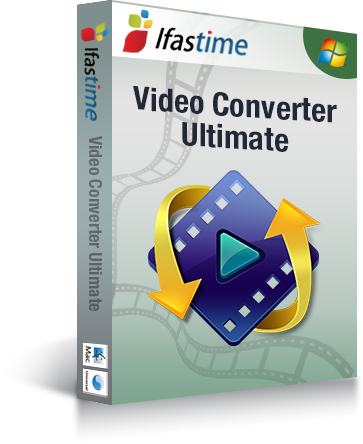 Tip: Get the equivalent Mac version iFastime Video Converter Ultimate for Mac if you are a Mac user. Click "Add video" button on the main interface to load your MP4 files to the program. You also can drag the file to the program's window list directly. For streaming to PS4, "PS3 Video(AC3 5.1)(*.avi)", "PS3 Video (480P) MPEG-4(*.mp4)", "PS3 Video (720P) MPEG-4(*.mp4)", "PS3 Video (1080P) MPEG-4(*.mp4)" from "PSP/PS3" column can all be suitable choices. In addition, you are free to transcode MP4 to other game console like PS3, Xbox 360, etc. by choose the optimized profile preset. Tip: Adjust the video and audio parameters including the Bitrate of Video & Audio, Video Size, Sample Rate, Frame Rate, Audio Channels, etc., by clicking the "Settings" button on the main interface for getting the best quality. Tap the "Start conversion" button at the bottom right corner on the main interface to start transcoding MP4 to PS4. The process will be finished soon. After the conversion, you can easily find the converted MP4 video clips in the destination folder by clicking "Open" button for playing and sharing to PS4. Go to the main menu, select "Video" and find USB Drive, select "Display All" to see the video files that exists on your PS4. Choose the file that you want to transfer and press the triangle button, choose "Copy" and confirm the transferring. 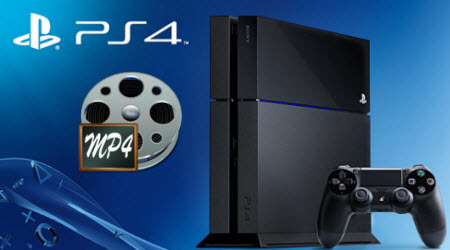 Now the movies are transferred to your PS4 hard drive, and then you can play MP4 movies on PS4 with ease. Useful Tips for Playing YouTube in PS3, PS4, Wii, PSP, Xbox, etc. Works Fine For Me! It works just fine. It’s pretty simple to run.